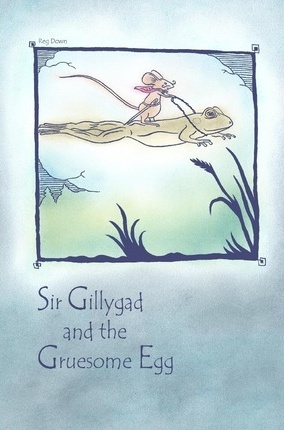 Author: Reg Down Age Range: 9-12 yrs Sir Gillygad is a knight, a doughty knight who rides about on his trusty frog called Gorf. They sally forth on adventures bold and exciting: to the Twinkle, to Holey Hill, to the Plain of Dreams—even as far as World’s End. Then rumors are heard, rumors of an egg, a Gruesome Egg with two leggs, a left leg and a right leg, and the leggs are bird’s leggs—which makes sense in an eggy sort of way. 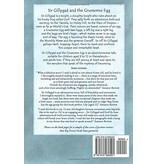 The egg is haunting the Daark Forest, close to the Mumbly Mews and the gerwine Greneff. 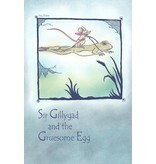 So off Sir Gillygad gallops (well, hoppedy-hops), there to meet and confront this unique and remarkable beast. 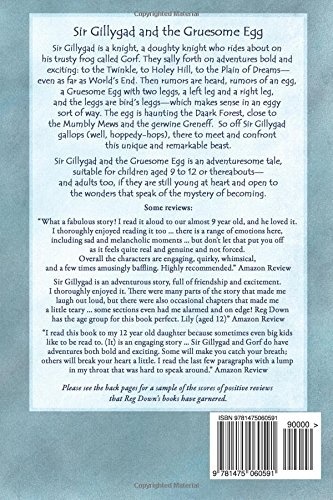 Sir Gillygad and the Gruesome Egg is an adventuresome tale, suitable for children aged 9 to 12 or thereabouts—and adults too, if they are still young at heart and open to the wonders that speak of the mystery of becoming. Illustrated, soft cover, 168 pages.